James Kay, the eldest of the six children of Robert Kay, cotton merchant, and his wife, Hannah Phillips, was born in Rochdale on 20th July, 1804. His parents were devout Congregationist and according to his biographer, Richard Selleck, Kay grew up "with fervent religious convictions, a consciousness of the temptations and vanities of the world, an obsession with worldly success, and a perilously uncertain belief in his ability and worth." Despite objections from his father, who wanted him to work in the cotten trade, at the age of twenty-one he entered Edinburgh University to study medicine. While he student he worked with local doctors during a typhus epidemic. A fellow student remarked that Kay had "extraordinary mental power and stern unwearied industry". Kay also studied in Dublin before becoming a physician in Manchester. Kay was shocked by the physical conditions under which the people of Manchester lived. He eventually came to the conclusion that "poverty, disease, and misery were not caused by the failings of the poor, as many of his contemporaries insisted, but were social disasters which required explanations beyond the weakness of individuals." Kay developed progressive political opinions and supported the repeal of the Corn Laws. In 1831 he wrote an anonymous pamphlet, A Letter to the People of Lancashire, which revealed his admiration of Lord John Russell and the campaign that resulted in the 1832 Reform Act. In 1832 Kay developed a reputation as a dedicated doctor during a serious outbreak of cholera in the city. 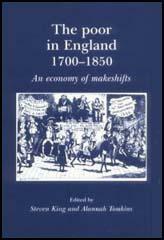 Kay was mainly involved in treating people living in slum areas and as a result of his experiences wrote the influential book, The Moral and Physical Condition of the Working Classes Employed in the Cotton Manufacture in Manchester. 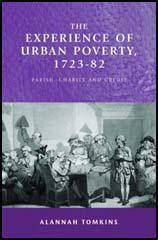 Largely as a result of this book, it was decided to adopt a series of measures to improve sanitation in Manchester. Kay became a strong advocate of social science was in 1833 played a leading part in establishing the Manchester Statistical Society. According to the author of James Kay-Shuttleworth: Journey of an Outsider (1995): "Using survey techniques, it gathered statistics on matters such as the education, religion, accommodation, amusements, and literacy of the poor. Kay insisted that objectivity in social matters was possible, and that policy could be based on scientific information which avoided prejudice or partiality. He did not notice that his unprejudiced analysis of social problems focused on the powerless while the powerful were left unstudied." After the passing of the 1834 Poor Law Amendment Act, Kay became a Poor Law Commissioner, working first in Norfolk and Suffolk and later in Middlesex and Surrey. According to his biographer, Richard Selleck: "He implemented the new poor law rigorously, and in his own mind fairly, though to the paupers he cross-questioned and forced into the workhouses he appeared an unfeeling zealot. He pressed individual parishes into the unions the poor law required, and when violence erupted he quelled it." Kay was a strong advocate of universal schooling and in 1839 was appointed as secretary to the committee of the privy council on education. In this post Kay was given responsibility for establishing a system of government inspection of schools. With the help of his friend, E. Carleton Tufnell, Kay founded St. John's in Battersea, the country's first training college for teachers. In 1842 Kay married Janet Shuttleworth, daughter and heiress of Robert Shuttleworth of Gawthorpe Hall, near Burnley in Lancashire. After his marriage he adopted the name Kay-Suttleworth. Janet had five children of whom the eldest, Ughtred James Kay-Shuttleworth (1844–1939), served in the government of William Ewart Gladstone. John Kay-Shuttleworth wrote a large number of books and pamphlets on social reform including Public Education (1853), Four Periods of Public Education (1862) and Thoughts and Suggestions on Social Problems (1873). He also had two novels published: Scarsdale (1860) and Ribblesdale (1874). Kay-Shuttleworth was one of the leaders of the Liberal Party in Lancashire and in the 1874 General Election failed in his attempts to become the North-East Lancashire representative in the House of Commons. James Kay-Shuttleworth died on 26th May 1877. Frequently, the inspectors found two or more families crowded into one small house and often one family lived in a damp cellar where twelve or sixteen persons were crowded. Children are ill-fed, dirty, ill-clothed, exposed to cold and neglect; and in consequence, more than one-half of the off-spring die before they have completed their fifth year.